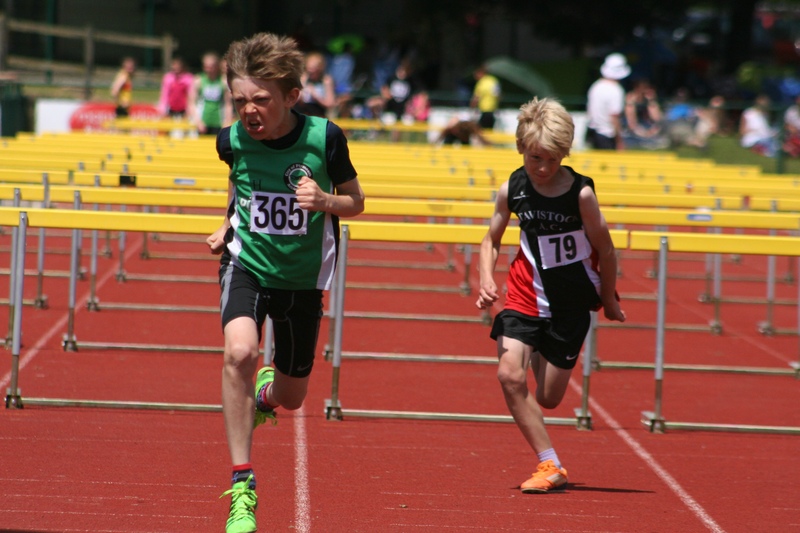 ATHLETES were out in force at Tavistock on Sunday for the second meet in the Devon Open Series. Host club Tavistock AC were particularly well represented and enjoyed plenty of success. Among their top performers were Jade Kinsey, who clocked an impressive 12.71 seconds to win the under-17 women’s 100m, ahead of City of Plymouth trio Courtney Weston, Lucy Robinson and Lucy Kevern. Tavistock also enjoyed success in the 1,500m, with youngster Jenny Milburn claiming victory just ahead of Yeovil’s Elena Sidman in her age group in a quick time of 4:52.67, while Alice Rogers won the women’s race in 4:57.06. There was a good race in the senior and under-20 women’s 100m with three athletes finishing within four tenths of a second of each other. Torbay’s under-20 Elyse Leech won in 13.00 seconds, with Plymouth’s Jess Strang (under-20) second in 13.3 and team-mate Kiah Rosenstein third in 13.4. North Devon’s Charlotte Sutton clocked an impressive 12.94 seconds to win the girls’ under-15 100m, ahead of team-mates Emily Tyrrell and Olivia Sayer. City of Plymouth claimed the top three in the boys’ under-13 100m, with Ben Foster winning with 13.69, Soteris Perdikeas second (13.80) and Danny Filewood (14.02) third. FULL ROUND-UP WHEN ALL RESULTS ARE AVAILABLE. PLEASE NOTE THE GALLERY MAY TAKE A FEW SECONDS TO UPLOAD. Tags: athletics, Plymouth, Tavistock. Bookmark the permalink.